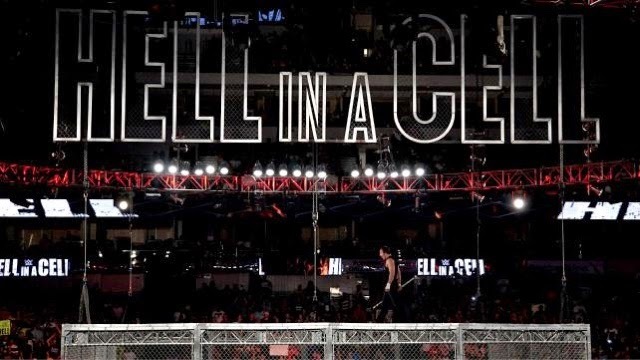 WWE's Hell in a Cell was a night that went from good to better, the only reason of this is that it all started off with a two out of three falls match and ended with Bray Wyatt returning to haunt Dean Ambrose and the cinder blocks appeared again - inside the cell. With Hell in a Cell over with for another year is it carrying on into four weeks of RAW and Smackdown and Survivor series that follows. What will Nikki force Brie to do next as Nikki poured milkshake over Brie at Hell in a Cell and how will Cena stop Rollins with Orton on both of there backs? Well a triple threat would be a useful matchup in the WWE to settle the three way feud. Bray Wyatt versus Dean Ambrose is a match to prove who is the weirdest WWE set star as they are both Lunatics and both faced John Cena. Who will be the Victorious competitor in the match up? Survivor Series is the next PPV and will the same occur when that is the night Brie can stop being the servant of the stronger force of the sisterhood Nikki? On RAW we found out that the feud of Rollins and Ambrose has stopped. Who is next to face the Wrath of Roman Reigns? Is Orton done with Rollins? Are Rollins and Cena going until the end? Find out at Survivor Series and RAW over the next few weeks before the PPV! Questions asked following WWE Hell in a Cell.